Rossi Pasta Garlic! Fettuccini. 6.00mm wide. Cooks quickly, in about 3 1/2 to 5 minutes. Contains zillions of fresh garlic cloves, and black and cayenne peppers. Garlic exudes right through the bag. Careful, this flavors not for amateurs! One 10 lb. box. 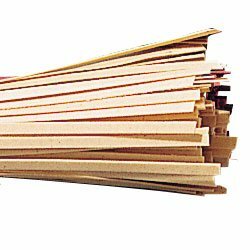 Dececco no.06 Fettuccine - 16 ounce - 20 per case.